After downloading business cards with overseas phone numbers (with prefixes such as +81) and then opening the data in Excel, the phone numbers are handled as math formulas and automatically calculated, making the data different. Here we will show how to avoid this. 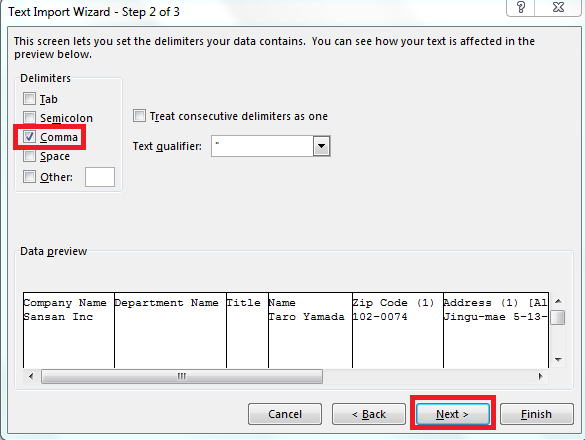 【Procedure】* For this procedure, we are using Excel 2007 as an example. 1. Open Excel, and from "Data", click on "From Text". 2. A screen to select a file will come up, so please select the file, and then click on "Import". 3. 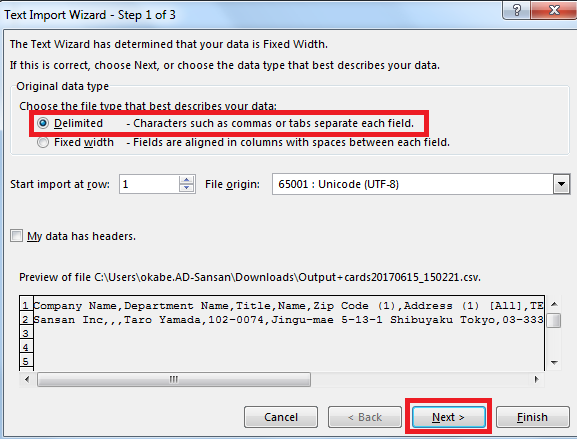 From the Text Import Wizard, select "Characters such as commas or tabs separate each field", and then click on "Next". 4. For delimiters, select "Comma", and then click "Next". 5. From Data preview, select places that need to be changed, and change "Data format" from "General" to "Text", and then click "Finish". 6. 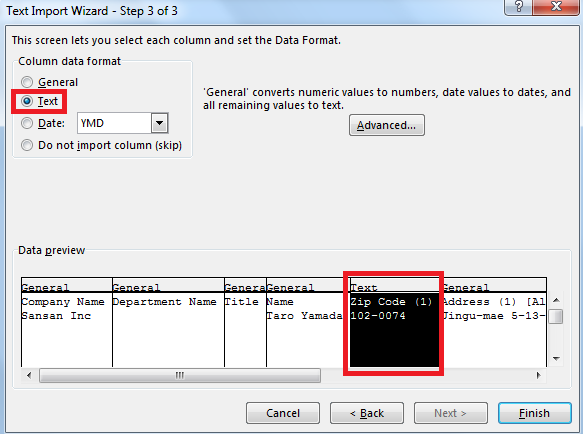 From "Import data”, select the cell range, and then click "OK". 7. The data will be displayed without being calculated.